You’re tough all the time, not just when you’re on the bike. 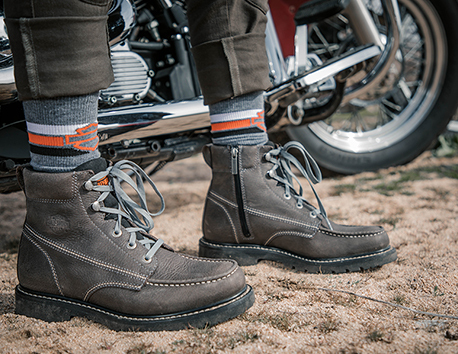 Harley-Davidson offers casual shoes and boots for men that deliver both style and comfort for your off-the-bike style. Hand crafted for the ultimate casual experience, shoes, sneaker and boots change the expectations for men's casual footwear. Hang by the fire, grill, or bar in style this season.